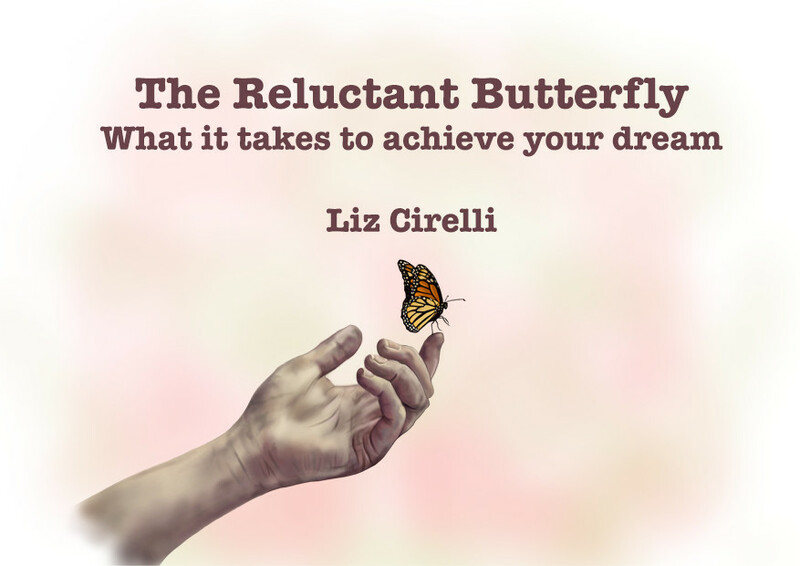 Founder of “Daydream Believers,” an online coaching community with over 2,000 members, and author of “The Reluctant Butterfly: What It Takes To Achieve A Dream,” Liz is a sought-after coach whose focus is on empowering female creatives to achieve their dreams. Starting in February 2019, she will be accepting a small number of students for one-on-one mentoring and life-coaching. Qualifications are very high and only the most serious and disciplined individuals will be considered. Within the field of music, her clients and projects have included work for EMI Production Music, 20th Century Fox, Nokia, Diesel, Bose, Sky TV, L’Oreal and directors Julian Schnabel and Stuart Birchall. Book your initial free consultation here. This short e-book is a guide to realising your creative ambitions, written from my own experience: the challenges and obstacles I’ve had to face and overcome – and the lessons I’ve learned through the process. It is beautifully illustrated and included inside it are links to download a powerful morning motivation, a 4-track preview from my recent album, Awakening, and an invitation to join my free coaching community. It’s my gift to you and you can download it here. No catches, no sign-ups – just a simple, free direct download. Whether working 1-to-1 or within the group environment of her coaching community, Daydream Believers, Liz’s aim is to empower you to pursue your passions and achieve your dreams. Some of the members of Daydream Believers got together so they could tell you themselves about how it’s been helping them. Join us. It’s free. Having worked within the creative arts almost my entire life, I know the path of following your dreams can be anything but easy. We have to overcome so many challenges and obstacles. As a female, it can be even harder. Our social conditioning can often limit us and prevent us from moving forward. I’m sure you’ve felt the excitement of a new hit of inspiration or a new idea – then been stopped in your tracks by doubt or fear. I know I have. Too many times. I understand the pain. I get how isolating it feels. And I want to help you overcome that. I want to help you reach your full potential. I’m here to empower and inspire you and teach you specific strategies and tactics to turn your dream into a reality. If you’d like to work with me as your coach and mentor 1-on-1, what I offer will be tailored to your personal needs – which we’ll establish during your first call. We will also do some incredibly powerful work on honing your intuition and using that as an anchor to get clear on the steps you need to take in the present moment in order to realise your big vision. Sessions take place over Skype or Zoom and can be either video chat or voice chat only, depending on whichever is most comfortable for you. You will also receive email support from me as you need in between your sessions. These particular mentoring sessions are not for everyone. Qualifications are very high and only the most serious and disciplined individuals will be considered. Book your initial free consultation here. Thank you for being here – I look forward to walking this journey with you.